A young friend of mine asked me earlier today how to set a table. I was a little taken aback but then I realized that the days of daughters helping mothers set the table for dinner are probably long gone as kids these days are so dang busy. 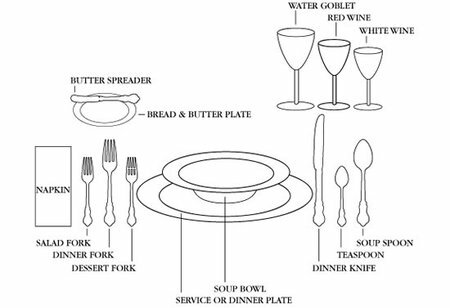 So...that said, I can see why a lot of people may not know the proper way to set a table. BUT...it's something I feel all women should know and all men should understand so as not to be uncomfortable at the many dinner parties you will, hopefully, host and attend during your adult years. For everyday dinners when I was a kid, my mom set a VERY informal family table...but she made sure I knew the difference. Keep in mind that lifestyles today are completely different today than ever before. 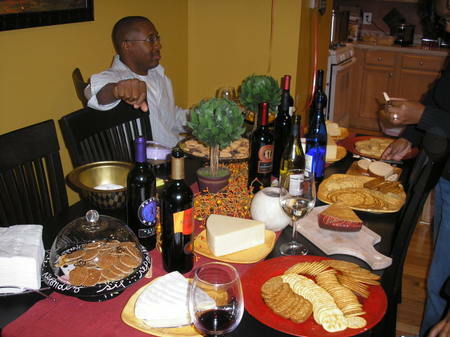 Most of the time Robby and I eat dinner on the sofa with trays and paper towels instead of napkins but we have dinner parties often and try and show that we were raised right for our guests...lol! 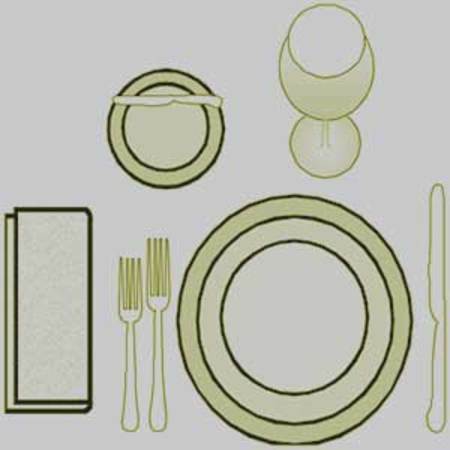 Formal Dinner - This is for a formal or holiday dinner. Buffet Table Setting - This is for when you're hosting showers or a party where the style is buffet. Guys...you should pay attention to the placement of everything so you know what utensil to use when. It's easy when you know what the utensil is for. These settings are made when dishes are removed and added as each course is served. This was for Robby's birthday party and we had 20 plus people in attendance. Well, I hope this answers any questions anyone may have had. I'm sure most of you knew this anyway.